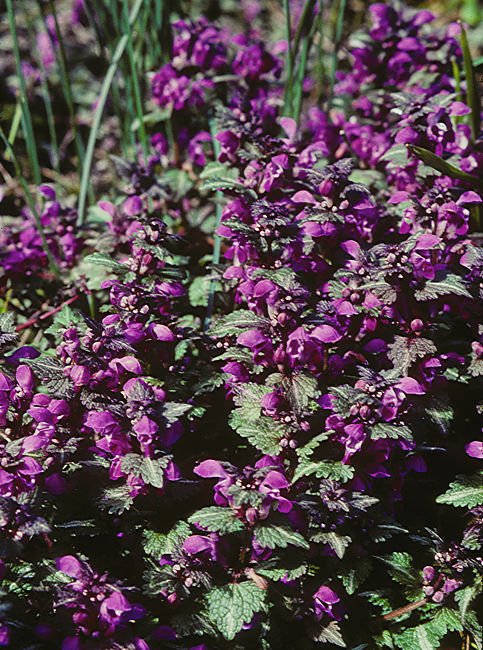 The Lamiaceae is a large family of about 230 genera and 6500 species of shrubby herbs including many plants grown in the garden for their aromatic properties. Stems are often angled or square, with opposite leaves. Adjacent pairs of leaves are at right angles to each other (decussate). Flowers are bilabiate typically with 5 petals fused into an upper and lower lip (hence Labiatae de Jussieu 1789). The plants often produce aromatic oils and include common kitchen herbs such as basil, hyssop, marjoram, mint, oregano, rosemary, sage, savory, thyme and lavender. Many members of the Lamiaceae are therefore of considerable commercial importance. 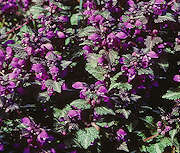 Members of the genus Nepeta (Catmints) have aromatic foliage that is curiously attractive to cats. Just a few members of the Lamiaceae are sufficiently succulent to be of interest here. Cultivation: Most species are undemanding given warmth, moderate watering and diffuse sunlight and will grow happily throughout the year. Many species are easily propagated through stem cuttings. Named for Fort Dauphin in the region of origin. a monotypic succulent genus from Madagascar. 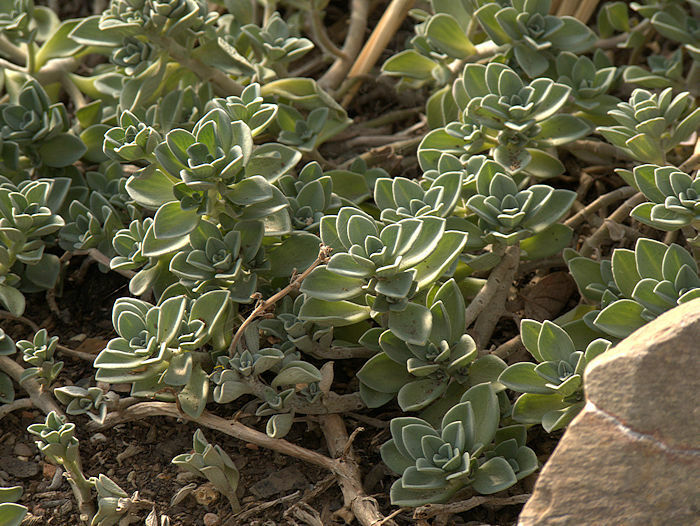 At first sight the serrated, glossy leaves resemble those of some Kalanchoes. The stems are slightly hairy and the foliage mildly aromatic. The tubular magenta flowers are formed from fused petals and arranged along the flower stem in groups of six. Propagation from cuttings is straightforward. 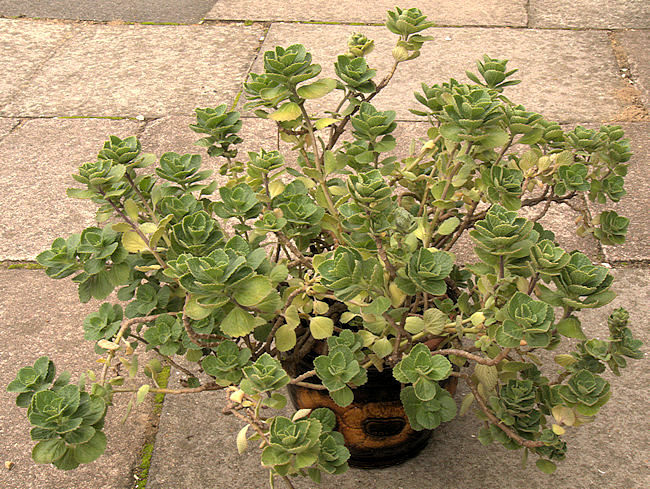 An interesting aromatic shrubby foliage plant with attractively crisped succulent leaves and pubescent stems. The inflorescence is a spike of small, tubular white flowers formed from fused petals, with exerted stamens. The flowers are partly hidden among large oval green sepals. Native to elevations up to 6000 ft.
a genus of about 300 species of tropical herbs to shrubs of which about 30 have a marked degree of succulence including leaves, stems and tuberous roots. 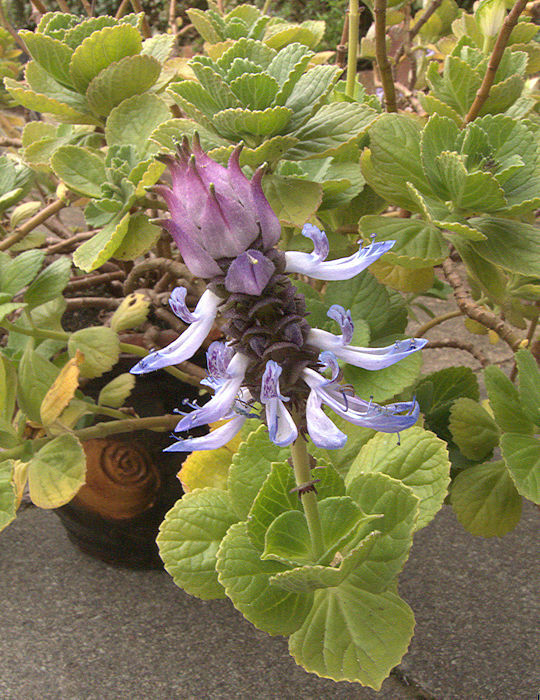 Many species of Plectranthus are popular as easy house plants or for frost-free gardens and some have aromatic foliage. Members of this genus are mostly distributed in the Southern hemisphere including tropical to Southern Africa, Madagascar, India, the Malay Archipelago and Australia. 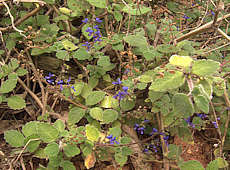 is a semi-succulent plant from East Africa and Southern Asia whose thick, slightly sticky, grey-green leaves with scalloped margins and its spikes of pale blue flowers have an unappealing odour, said to deter foxes, dogs and cats from its vicinity. This plant needs a frost-free winter, although the scent from the leaves can be objectionable indoors. Cuttings root extremely easily. I sometimes put several cuttings to grow on among new plantings and seed beds where I do not want cats. Pinching out the growing points encourages side shoots. In tropical climates this plant can be an invasive weed. 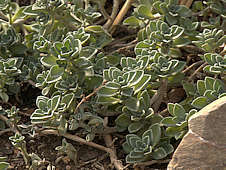 is a semi-succulent woody shrub whose pubescent grey-green leaves with scalloped margins have a resinous aroma. The inflorescence is a spike of electric blue flowers. Native to small areas of Queensland, Australia. Listed as endangered. Plectranthus tomentosa with thickened aromatic (mentholated) leaves is also sometimes labelled as a Coleus. 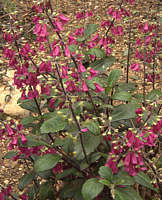 Plectranthus edulis, P. esculentus and P. rotundifolius are cultivated in Africa for their edible tubers. a genus including about 150 species of tropical African and Asian flowering herbs previously classified as Coleus. 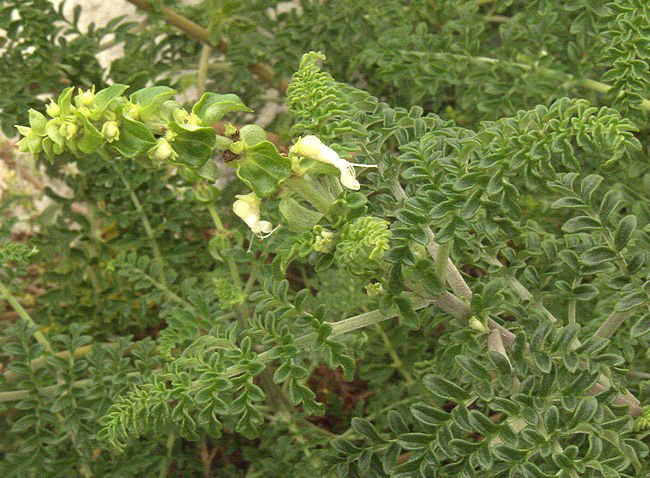 Most Solenostemon are slightly succulent, especially their stems. The inflorescence is a spike of greenish-purple flowers, small and insignificant. Most growers cut off the flower stem to stop the plant from going to seed. In their tropical habitats, Solenostemons grow in moist soil, so in cultivation require warmth and frequent watering, but are happy in a shady position where leaf colours are often enhanced. and its hybrids are popular as undemanding houseplants, prized for their large brightly coloured variegated ovate leaves in brilliant green, red, purple and yellow. Numerous named cultivars are available, but must be propagated from cuttings as they will not come true from seeds. 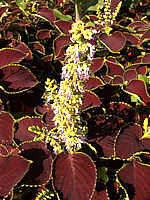 However, raising Coleus from seed is easy, with the prospect of selecting a personal favourite form from the seedlings. Native to Malaysia, South-East Asia but now pan-tropical through introduction. May be invasive. The plant with thickened aromatic (mentholated) leaves that is commonly referred to as a succulent Coleus is actually a Plectranthus (P. tomentosa). 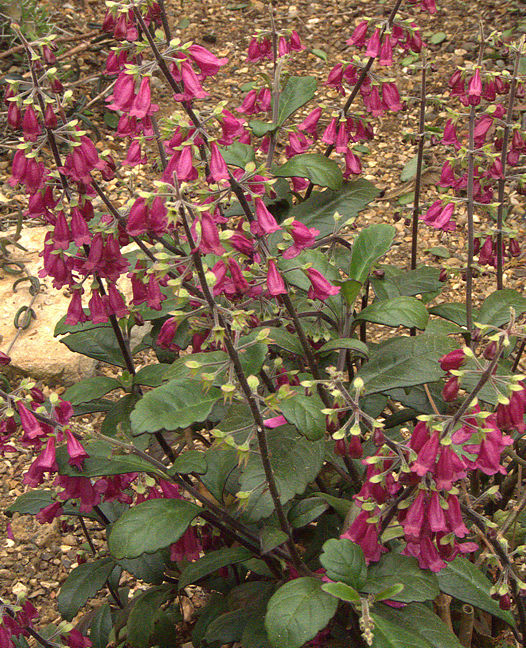 Solenostemon rotundifolius Syn. 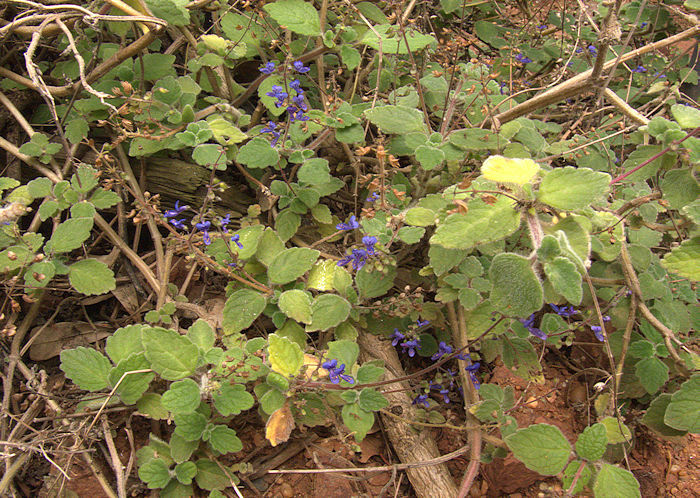 Plectranthus rotundifolius (Hausa Potato) is cultivated in South Africa for its edible tubers. Some species (Solenostemon scutellarioides and Solenostemon pumilus) supposedly contain psychoactive substances.